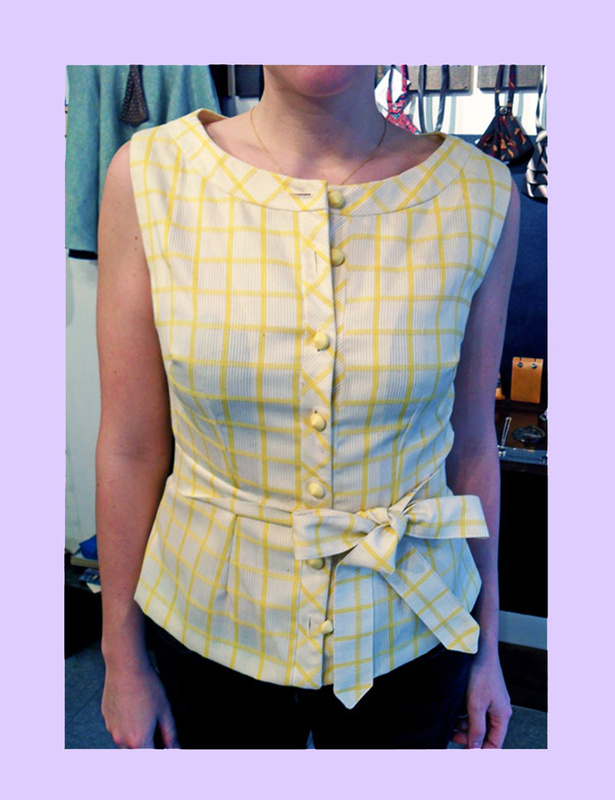 When you get sick of that vintage bag dress with adorable fabric, here’s an option of what you can do with it! 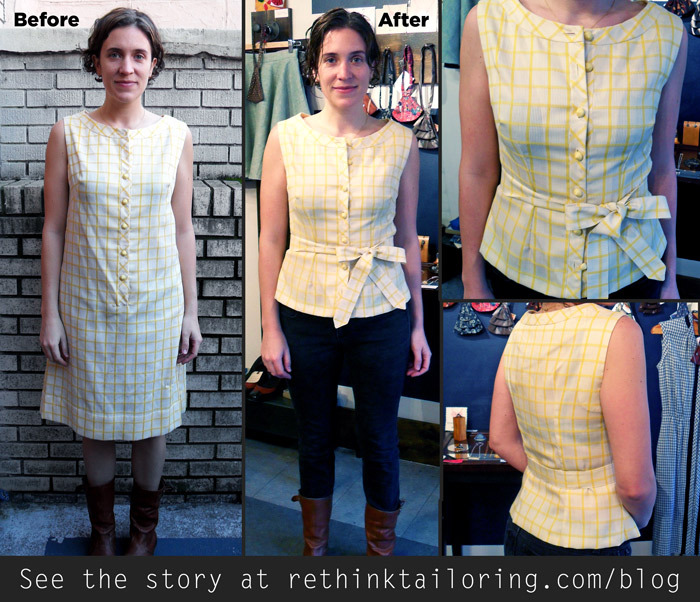 Emily realized she never really wore the dress in it’s baggy form, so we turned it into a tailored shirt she could wear for work or for play, and made a belt from the scrap as well. ← Reveaving those darn moth holes!